This isn’t a list of light gun games, or the best light guns, but a little bit of advice if you want to play Light Gun games. However, if you’re interested in our views on Lightgun games, we have reviewed a fair few, follow the link. And most importantly, IF YOU WANT TO PLAY A LIGHT GUN GAME, you need an old CRT (Cathode Ray Tube) TV screen. No ifs, no buts. The screen needs to be bigger than 10 inches, and you need a large play zone. I know this is for PC monitors, by the principle applies. but for a TV times the size by 4 or 5. 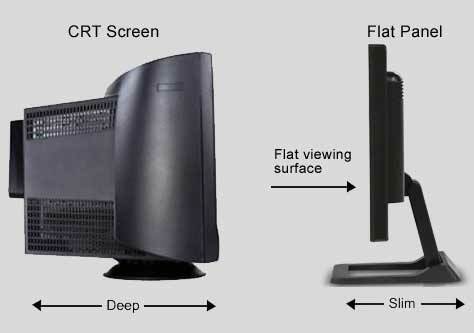 CRT Monitor: There is a very long scientific explanation for why you need a CRT, but i’ll be concise. Basically, CRT screens use line tracing to display a picture, when the screen refreshes it goes blank and retraces all the pixels again. When you pull the trigger on a light gun, the screen will turn grey or black FOR a thousandth of a second. The target will then turn an opposing colour, IE, if the screen goes black the target will be white. This light is reflected down the barrel of the gun, and if your gun is pointing at the right spot a hit will register. It sounds simple, but is amazingly complicated. More modern TVs such as HDTV or LCD/Plasma do not use line tracing, and have a much higher refresh rate. So as a result, light gun games simply WON’T WORK..
Large CRT: Most Light Gun Games will say you need a screen bigger than 10 inches. And… You do. If the screen is smaller, the chances are it won’t have the electronics inside of it to deal with light gun games, also, the pixels will be too small, so you will struggle to actually hit the targets. Large Play Area: This one is more for the sakes of the game. Why do I always read reviews about Duck Hunt, and people putting the gun to the screen? Of course you can complete games if you cheat. I can get to level 25 of Duck Hunt, I can’t really get much further without shear luck. I know this. Getting to level 40 by cheating doesn’t count. I usually mark a spot on the floor, play from there, and move back, particularly with games like Point Blank. Oh and a 30 inch CRT is the size of a small couch, so you’ll probably need a large room. Retro Games were designed for CRT tellys, HD was a distant concept. I mentioned in the PaRappa the Rapper review that it didn’t work on my HDTV or Projector, well it works just fine on my CRT. 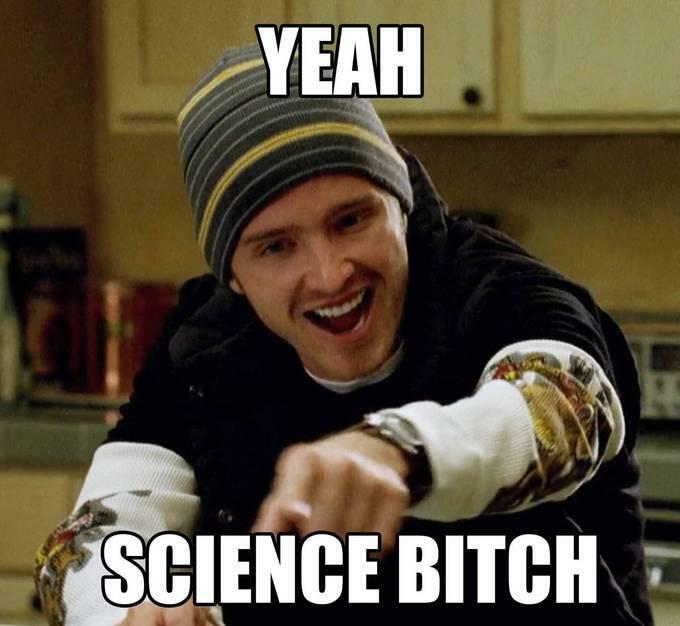 Again, this is sciencey, but this time it is to do with lag. The higher detailed a TV is, the more processing is required to display an image. With the addition of a separate processor it adds a certain amount of lag to the game. Fighting Games or Rhythm games can be unplayable on some TVs as even the slightest lag on your screen will give you issues when you are required to enter precise buttons in split second timing. TV manufacturers still don’t really consider gaming to be their domain, lag is not a stat you are provided with when buying a TV, however, those PC gamers amongst us, will know all about refresh rates. If you want to play a Rhythm Game or a Light Gun game, get a CRT. I am no expert here, but certain games only work with a certain gun. The PlayStation is the one I know most about, and there are two gun types. The Justifier/Hyperblaster gun, and the Namco GCon series. All early light gun games on PS1 were the Justifier compatible guns, for games like Die Hard Trilogy or Area 51. 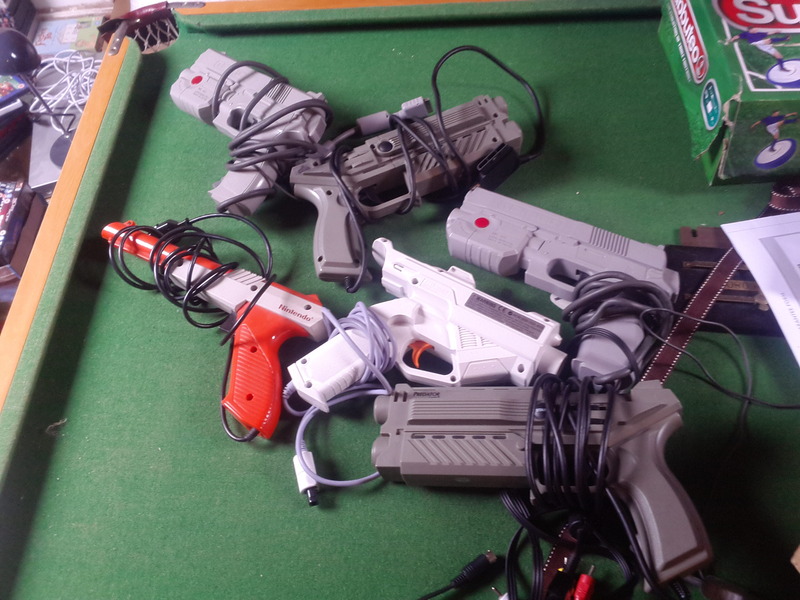 Later games (Resident Evil Survivor), or Namco games (Point Blank, Time Crisis) will only work on the GCon guns. There were a number of 3rd party developed guns that will work across games, but this is very sporadic, I use the Predator Logic 3 gun for some games, others I need the GCon. The Dreamcast was woefully supported in terms of Light Gun games, with only 3 PAL releases, and 5 across JAP and US regions. Nintendo tend to have 1st party light guns, so too the Sega Master System/Megadrives. So on the whole you will be fine, but on the PlayStation 1 you need to be really careful. (PS2 used GCON2, PS3 GCon3 and Move Wand). When should I use a HDTV? Chances are, you already have a HDTV, after all it is 2016. If you play Xbox 360 onwards get a HDTV. All the games are now designed around HD TVs , and chances are your old CRT won’t have a Component in It certainly won’t have a HDMI socket. So that money you spent on a console will be a bit of a waste if you can’t plug it in to your telly. For Retro Gaming? Well, it is horses for courses… If you want to play Light Gun games, you need a CRT. If you are playing Final Fantasy 1, or any of the Resident Evils in fact any other game from before the 360/PS3 era… it really doesn’t matter. 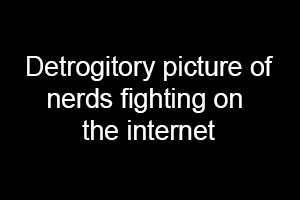 If you get into Retro Gaming you’ll come across a lot of snobbery, a lot of people will scoff “Urrrgh you simply have to get a CRT, for the experience, blah blah blah“. You know what, you don’t. I tested about 20 games over the weekend, and they all play the same on the CRT as they do on the HDTV or Projector. The colour varies slightly between the TVs, but colour varies between all TVs, even TVs within the same range (Panasonic for example). You can get a decent CRT for pennies on eBay/Gumtree type sites, but remember, it is a two man job to move it. My 30 inch screen didn’t fit in the (large) boot of my car, and had to go on the back seat. So unless you drive, or have access to a driver, it is going to be very expensive getting the CRT delivered. Just be sensible. I am not going to wage a bore war on you if you prefer HDTVs, you just won’t be able to play certain types of games on them. If you don’t want to play PaRappa or a Light Gun game, it wont affect you. If you really care about deeper blacks and colour variation you are wasting your time. The games of the 8/16/32/64bit generations are designed around a limited colour pallate, and very few of these are black. So you won’t get a deeper black, you’ll get BLACK. It makes a difference on PC gaming, and films, but for Retro Gaming it makes no difference. Even on Xbox (Original) you won’t see much of a difference. It is only once you get to the HD era, where games start to use colours, rather than a pallette of colours, this is when you will you notice a difference, and even then, it is slight. 9 blacks, all the same. You can argue the finer points of TVs all day, the fact is you need a CRT to play certain game types. Well written piece and a great summation on what you need to play light gun games. Almost bought a super small CRT as a hack to using an old light gun for ps2, so thank you for calling out to go larger than 10 inches for screen size. Will keep my larger CRT TV for a while now. I recently bought a light gun and a old CRT TV. I have the Die Hard triology to play with it. The gun is compatible with the game however the game seems to lag. There are time I fire and nothing happens and times I reload without shooting off screen. Any ideas or suggestions? Which gun you using? Die Hard needed a Justifier, Hyperplaster, Predator gun. If it is lagging on my other game you might have a crummy crt. Some guns had a wire that need to go in the back of the telly to work properly. Is the screen small/you sitting too far away? I probably need to rewrite most of this, as I didn’t have the ps2 at the time. Think I had the g-con and new Zapper only when I wrote this. I just got a Sony 36″ FD Trinitron WEGA (model KD-36XS955) locally on Facebook Marketplace for FREE! Of course, I had to buy beers for 3 guys to help me move it. Now is the time to get good CRTs for cheap or free, though! Nice article! My 32″ Trinitron died a month ago, and I’m struggling to get a “new” one! Ouch! I am considering babying mine with maybe a UPS to keep the power levels steady. I’m sure one will show up for you–I saw another, smaller WEGA model on FB Marketplace, too, also for free–so they are definitely out there. Happy hunting!